Will Schwalbe’s mother, Mary Anne, was diagnosed with a rare type of hepatitis upon returning from a humanitarian trip to Afghanistan and Pakistan, and a few months later, she received an additional diagnosis: she was sick from an advanced form of pancreatic cancer, giving her from six months to a year to live at best. 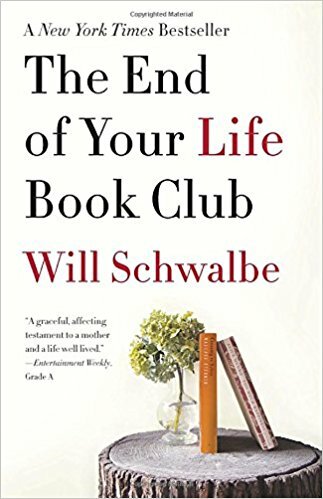 Under these circumstances, Will and Mary Anne decided to open up a book club for themselves, and that’s what The End of Your Life Book Club is all about. The book describes the journey Will took with his mother for the next two years, as they read books of virtually all genres, discussing them deeply, and more importantly, how the lessons learned within can be applied to their lives. Despite the morbidity of the whole context, the book remains quite humorous, especially when it comes to the dialog. Regardless of which side of the religious fence you fall on (or sit on? ), you can probably agree that Jesus was in fact a real person whose teachings and supposedly glorious acts have been chronicled. While it is true we will never really know beyond all doubt how much of it is true, we have a good idea of the kind of person he was. 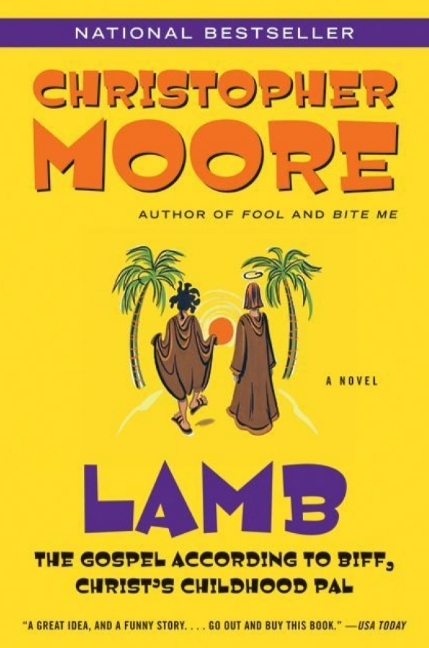 However, certain parts of his life are covered in grey than others, and in Lamb by Christopher Moore, Jesus’ best pal Biff is suddenly resurrected for the sole purpose of filling in the blanks… and he obliges. Lamb is basically Biff’s narration in regards to Jesus’ early life… and boy was it an eventful one. IT seems that before he could really control his powers, Jesus didn’t shy away from going on long and amazing journeys, using his magic to achieve his own end, participating in corpse reanimations, interacting with demons, and of course, picking up the legendarily hot Nazareth babes. All in all, we get to find out how Jesus came to be the man he was and what extraordinary roads his father made him travel. There are many out there who believe that regardless of how hard you try to choke it down and send it into oblivion, the truth will always find a way to make itself known… even if it takes forever, the truth can wait. While of course there are arguments for the other side of this belief, I’m not here to really argue semantics. Rather, I’d like to talk about a fantastic murder mystery book I've read recently: Guilt by Jonathan Kellerman. In Guilt, Kellerman presents us (although not for the first time) with Alex and Milo, a duo that can be compared to Sherlock Holmes and Dr. Watson. This time around, they are brought in to investigate a particularly puzzling murder. What makes it so? Well, for one, it took place more than sixty years ago, with the corpses of a child and a lady being recently found in the same upscale neighborhood. Jean-Paul Sartre famously concluded in one of his stories, Huis Clos (No Exit), with the line “L’enfer, c’est les autres,”, which translated to English means “Hell is other people”. Naturally, it wasn’t meant to be taken in as literal a sense as the story portrayed it, but he was unto something: in most cases, our suffering comes from the actions of other men, whether direct or indirect, and being stuck together with others is one of the worst kinds of punishment one could be forced to endure. Where am I going with this? 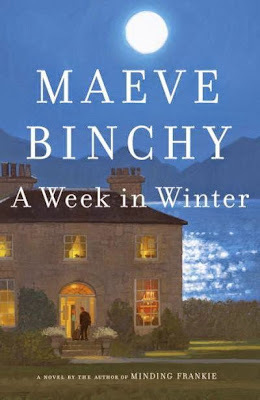 I am going to the novel titled A Week in Winter by Maeve Binchy. 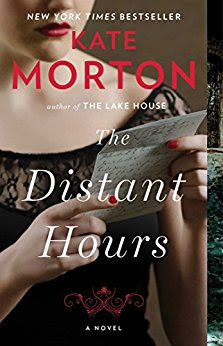 In this novel, a woman by the name of Chicky Starr, along with the help of Rigger (a bad boy turned good handyman) and Orla (Chicky’s niece and accountant extraordinaire), decides to renovate an old and decaying mansion in the small town of Stoneybridge, turning it into a holiday house. 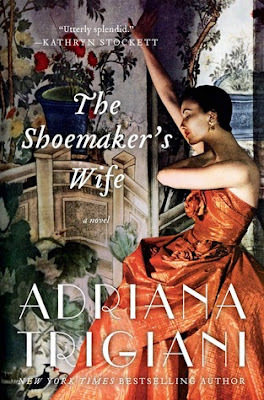 First off, I’ll have to admit that I’m not the biggest fan there is of romance novels (people who have read some of my previous reviews may remember that), and so my take on The Shoemaker’s Wife by Adriana Trigiani may be a bit biased. However, I will do my best to provide an objective take on the book, and should I make any subjective comments that are influenced by my predispositions, I will make notes of it. In any case, to give you a quick idea of what the book is about, The Shoemaker’s Wife is an epic story revolving around two lovers. The story takes place across two continents and multiple generations, covering numerous historical events, including the two World Wars. Basically, it tells the story of how those two lovers got separated, and after many hard years of hoping, suffering and searching, finally find each other and become united at last. Katey Kontent and Evie Ross, despite being of quite different origins, are two very ambitious and free-spirited friends who make up with character and courage for what they lack in funds. However, on New Year’s Eve 1937, the pair has a chance encounter with Tinker Grey, one of the wealthiest people in the city. This encounter changes their lives forever, introducing them to a world that goes far beyond the simple pleasures of the poor. This is as far as I’ll go in revealing anything about the story, because I believe that this is one of those books that is better experienced when you know less about it. 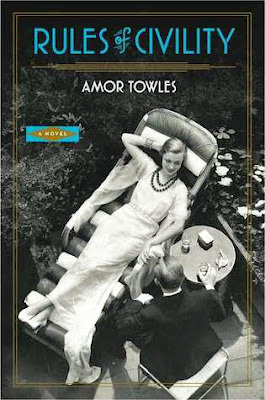 Rules of Civility by Amor Towles offers what I see as a more unique perspective on the 1930s and 40s; whereas most books and works of art portray the people living during that time period as being religiously-guided and well-mannered folk, this book paints a whole different picture. 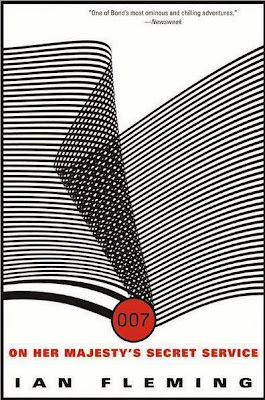 There have been many James Bond novels over the years, and while some of them have unfortunately faded into relative obscurity, others kept on thriving throughout the years, effectively passing the test of time. Most people who are interested in James Bond as a character will probably argue that On Her Majesty’s Secret Service (by Ian Fleming of course) is one of the better Bond novels out there, going beyond the well-established traits of Bond’s character and shoving him into new territory. After the completion of Operation Thunderball, MI6 and James Bond have lost Ernst Stavro Blofeld’s trail, and so, being faced with defeat, 007 starts to love his passion for his work. While considering what to do with his future, Bond comes to meet Teresa Di Vicenzo, a beautiful woman who, unlike all the others he has met, likes fast cars and blowing things up. And so, as time goes by, Bond starts to see Tracy as something more than just yet another “Bond Girl”, and even she is the daughter of a very powerful crime boss, Bond has bigger fish to fry. The chief of SPECTRE has been tracked all the way to the Swiss Alps, and once there, Bond finds out what Blofeld has been up to all this time: biological warfare that will wipe out billions upon billions. Anthony Spencer is a young, proud and rich man whose self-made business has propelled him to the top of his game, regardless of the fact that he made it so high thanks to the sacrifices of others. One day, destiny repays him for all his so-called efforts by giving him a cerebral hemorrhage, after which he wakes up in the hospital only to find himself in a slightly different world. In this world, he cannot really say what is true or what is false (or what it is in the first place), but it mirrors many aspects of life which he is familiar with, not to mention he can experience events through the point of view of others. He also communicates with voices who may or not be figments of his imagination. Yet, he listens to them anyways, learning more and more not only about himself, but also about the unforeseen consequences of his actions. In the end (not the literal end though), he learns that he is responsible for a giant injustice about to occur… can he do anything to prevent it from the confines of that other world? Alex Cross is to James Patterson what Harry Bosch is to Michael Connelly; some kind of seemingly super-human detective worthy of multiple novels, something with which I wholeheartedly agree. 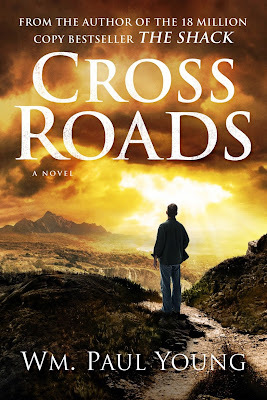 Patterson’s previous Alex Cross novels have been hailed as nothing short of a modern classic, and it seems that it is the case once again with the newly-published Alex Cross, Run. The story starts off as Alex Cross busts one of the many parties thrown by a renowned plastic surgeon Elijah Creem, one with various drugs and underage dancers (who probably double as prostitutes for economic reasons). At this point, Elijah Creem, a relatively powerful man with some good connections, is willing to do anything to stay out of jail and preserve his reputation. If there is one James Bond novel that I would have to qualify as being the most well-known, at least based on the title, I would say that it’s From Russia with Love. Not only does the title sound very catchy and refers to what was at the time a superpower in the world, but the book itself is actually one of Ian Fleming’s best works, and even JFK himself said it to be one of his favorite books. For most people, me included, the subject of the cold war is a very fascinating one, and in this book, that’s what it’s all about. James Bond becomes the target of SMERSH, the Soviet counterintelligence agency, who seeks to disgrace and/or kill Bond. The operation is commandeered by a small, post-menopausal lady by the name of Rosa Klebb, and her trump card is SMERSH’s deadliest assassin, Red Grant. In order to lure Bond into their web of deceit, they use a ravishing Russian spy by the name of Tatiana Romanova, whose mission is to seduce Bond. 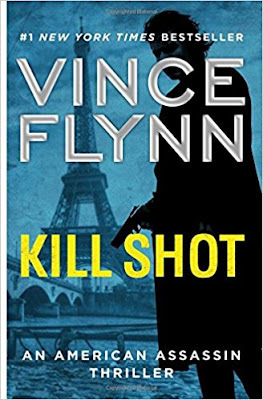 Vince Flynn returns yet again with another Mitch Rapp novel, and even though technically Kill Shot is a sequel to American Assassin, it is still a standalone novel and can be enjoyed without any kind of prior knowledge of the series. In any case, it is a political thriller which starts with Mitch Rapp being tasked to kill another one of the men involved in a brutal act of terrorism, a Libyan politician who is staying in Paris. The job seems simple enough, but just as Mitch puts a bullet through the politician’s head, someone breaks down the door to the hotel room and goes guns blazing. The aftermath results in a trail of seven dead bodies, three of them being civilians and the rest unidentified. The CIA, the agency Mitch Rapp has come to work under, has denied responsibility for his actions, and his long-time nemesis uses the opportunity to label him as a threat to the integrity of the agency, seeking to hunt him down. Many of you may have heard the title Of Mice and Men thrown around here and there, perhaps in a discussion or as a vaguely-memorable school assignment. 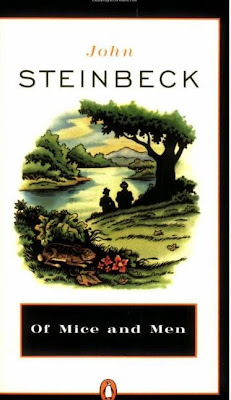 This book, written by John Steinbeck, is considered a great classic of American literature, and has become a mandatory reading in a large number of schools around the world, with there even being Broadway plays and two full-feature movies based on it. Like a few other of Steinbeck’s books, Of Mice and Men takes place in California, and in this story, we follow the lives of two farmers who move from job to job. One of them is Lennie, a gentle giant who is a hard worker but burdened by having the mental capabilities of a child, with the other being George, the one who guides and protects Lenny but also depends on him for companionship. Many of you know Casino Royale as being that reboot of the James Bond franchise with Daniel Craig as the new 007. However, as you probably suspected, just like most (if not all) the James Bond movies, this one is based on a book, also titled Casino Royale, by Ian Fleming. 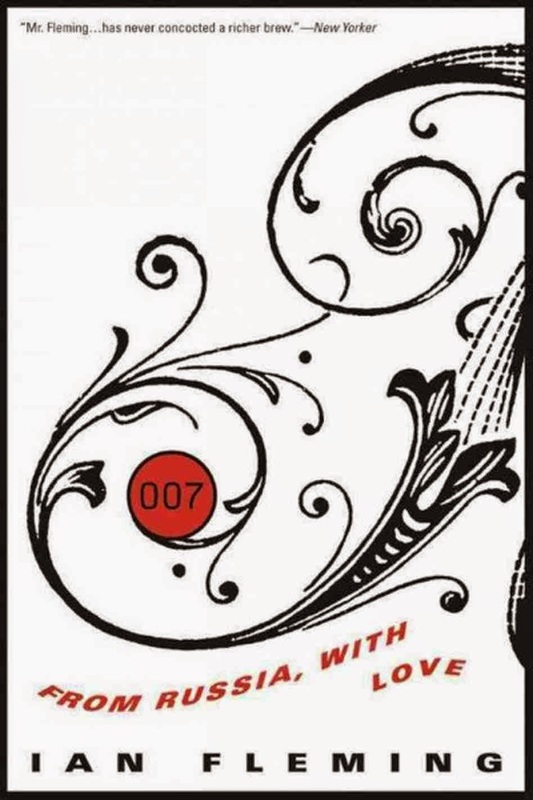 Back when it was published, it was the first time that agent 007 had seen the light of day, and of course, was brutally thrust into a story involving assassins, spies, torturers, SMERSH operatives, a villain just how we like them, and of course, a lady whose life Bond must save. Just to give you a brief summary of the plot, James Bond is tasked with bankrupting a ruthless SMERSH operative known as “Le Chiffre” (French for “The Number”) by outplaying him in a card game. Everything seems to be going according to plan, but after the end of the card game, things take a turn for the weird (and the worse). Regardless of who you were to ask, Bernadette Fox sure knew how to stir things up. Her husband, a tech-savvy fan of Microsoft, always saw her as a ridiculously-opinionated life partner. The private school moms of Seattle don’t want to have anything to do with her, all while artists claim her architectural work to be revolutionary. Also, she is the best friend and mother of her fifteen year-old daughter, Bee. 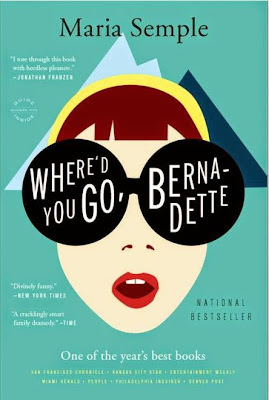 The events of Where’d You Go, Bernadette, by Maria Semple, start as Bernadette suddenly disappears without a trace right after promising her daughter a trip to Antarctica, should she get a good grade. In an attempt to find out what happened to her, Bee starts to compile countless email messages, and more or less secret documents as well as official ones. It seems that Kate Morton is someone who enjoys looking at long-forgotten pasts, or at least that’s the impression she gives in many of her novels, including The Forgotten Garden and The House at Riverton. In The Secret Keeper, she once again takes the same path, this time following the story of Laurel Nicholson, starting when she was sixteen years of age and living on a farm with her parents. In 1972 a terrorist group known as the PLO specifically targeted and murdered eleven Israeli athletes at the Munich Olympics. Once the initial mourning stage was over with, Golda Meir, the fourth Prime Minister of Israel, declared that her government would hunt down and bring those responsible for the acts to justice. In order to do that, they assembled a team of five Israeli operatives, spearheaded by a man named Avner. Cut off from direct contact with the government of Israel and officially ceasing to exist, the team of five traveled around the world, putting themselves through the grinding wheels, both physically and mentally. 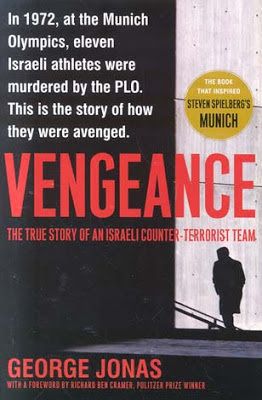 Vengeance by George Jonas is the account of that story in novel form, based on accounts from a Mossad agent, the first to reveal details about this deeply covert operation. While we constantly get books where the hero is a central figure of the CIA or the FBI, it seems that authors often forget that other countries have their own special services, and in most cases, their history is at least as... “colorful”, for lack of a better word, than that of the agencies we have become familiar with. Those who are interested in the topic of espionage and secret services probably already know a bit about the Mossad, with one of their finest traits being the denial of responsibility for certain actions for lack of proof. In some cases, it can be difficult to determine whether the Mossad was involved in a particular event or not, but if there is one for which no doubt ever existed, it is the revenge mission for the 1972 Munich murders. For a very long time we had practically nothing to go on to determine how the operation actually happened. All that writers and movie makers could get their hands on were reports from witnesses that had witnessed the revenge murders, as well as a trail of bodies. This marks the first time that a Mossad agent has come to actually talk about that operation, what those people did on a day-to-day basis, completely undercover, changing identities and countries as often as they changed their shoes, and giving all they have to offer for the sake of vengeance. 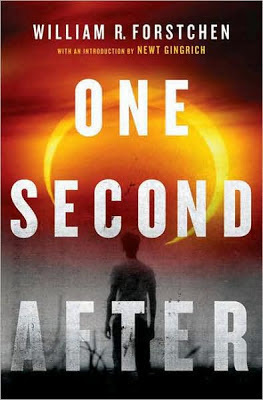 What I liked about this novel is that George Jonas, the author, doesn’t seek to simply reveal how the operation happened... he actually seeks to make a work of art from it without changing the facts. He achieves that, in my opinion at least, by providing us with some very interesting insight into the mindset of the members of the Israeli team, how with every killing they become increasingly unstable, sometimes even questioning if they got the right guy, why they volunteered for this, and if they should keep on going in spite of all the horrors awaiting them. All in all, it makes for a very gritty, realistic, and yet touching look at one of the most interesting secret service operations to ever happen on this planet. This book fares extremely well both as an accurate historical account and as a form of entertainment, I’d recommend it to literally anyone who even remotely likes the concept of espionage. 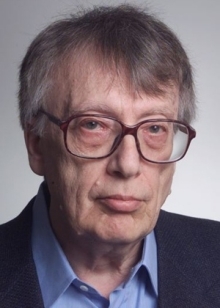 George Jonas is a Hungarian-Canadian writer, journalist and poet. He is best-known for his 1984 bestseller, Vengeance, in which he explores the Israeli operation to avenge the fallen athletes at the 1972 Munich Massacre, a novel which was adapted into movies on two occasions. In 2013, Jonas was made a member of the Order of Canada. When we think of all the types of apocalypses which could come (zombie apocalypse, meteors, the four horsemen riding in from the skies), we often tend to omit one type of world-ending event which is disturbingly real: a large-scale electromagnetic pulse (EMP) blast capable of knocking out all electronic devices and make them obsolete. Needless to say, this kind of technology already exists, and considering that military institutions are always 50 years ahead of what is available to the public (for example, 3d television was invented in the 50s by the U.S. Army but only declassified recently), chances are that EMPs have already been weaponized. Well, not all of us forget this scenario, as William R. Forstchen clearly demonstrates in One Second After. To give you a brief idea of what the novel is about, it looks into a family man’s efforts to keep himself and his family alive during what may be America’s worst crisis. It was hit by a ginormous EMP blast, effectively knocking the entire country back into the Dark Ages (although I don’t think they had gas stoves or guns in the Dark Ages). It is September 1940, one of the most turbulent times in human history as a global conflict rages on, with Nazi Germany still seeming like an unstoppable war machine destined to crush all in their path. As a dog fight rages on in the skies above the Weald of Kent, the unspeakable happens as a twelve year-old, Queenie, witnesses an enemy plane crashing in the woods. Contrary to instinct, Queenie’s family takes in the injured pilot, hoping he would die of his wounds. However, not only does he recover, but he also shows himself to be more than a simple brain-dead and mind-washed grunt, changing the family’s life forever. Fast forward to September 1959, and Queenie is a successful playwright in London. When she receives word that her father is dying, she undertakes a journey to come back to him, raising from the dead many harrowing memories, including ones of the German pilot. Although zombie literature has plagued our bookshelves for quite some time now with book after book detailing the gruesome journey some heroes must undertake after the fall of man and the rise of flesh-eating corpses, Apocalypse Z by Manel Loureiro, and translated by Pamela Carmell, takes a somewhat different approach to the genre. More specifically, this time around, we get to see how humanity actually deals with the outbreak, what humanity’s final moments look like. Just to give you a hint of how Manel thought things would go, the only warning of the incident comes from a deeply-buried and barely-noticed story in the Russian news. Somewhere, somehow, a virus is released, and those coming into contact with it end up turning into zombies. Meanwhile, we are presented with a lawyer who has taken up writing as a way of dealing with his wife’s recent departure to the beyond. This lawyer ends up being the one to chronicle humanity’s final days, and needless to say, his accounts and opinions play a big part in the story. Naturally, we are also shown how governments (those that haven’t had their parliament zombified I guess) react to the whole mess, how they attempt to raise safe havens to quarantine the uninfected from the flesh eaters, and how everyone just goes batshit crazy. Now, of course, we do need to have a hero, and so we are introduced to a lone survivor with makeshift weapons, who just happens to be humanity’s last chance against the outbreak. Now I know I said Manel took a different direction with this book, and you may think I was lying when I introduced that mysterious loner to you in the end. Me too, I had a bad gut reaction to imagining reading through yet again another story where one person redeems humanity. However, I still gave it a chance, and let me tell you, I was more than pleased. Yes, there are the clichéd moments where the unassuming protagonist shows of his badassery, but those who focus on them miss out on everything else the book has to offer, and there’s a lot of that. As I said before, humanity’s final days are actually explored as we get to see how all kinds of different people react to this kind of apocalypse. Whereas in most books and movies we get to see the before, a bit of the transition, and a lot of the after, in Apocalypse Z we actually get a whole lot more of the transition period than anything else. If you found yourself reading zombie literature or watching zombie movies and asking yourself “but how did this all actually come to be?”, then this is probably the kind of book you've been looking for. All in all, from a story perspective, Manel manages to deliver a brutal, primal, and most importantly, realistic gorefest. Naturally, I’m not sure as how a zombie apocalypse would be like, but if I had to bet on what it would look like, I’d bet on this book. It shows that the author was concerned with putting as much authenticity in it as possible, probably because it does such a good job at making you feel uneasy at the pain the characters are suffering. Speaking of the devil, while some of the characters feel a bit underdeveloped, the ones that have been given attention to are truly deep and complex to the point where you can actually feel and think like they do. In conclusion, it may be one of the best, if not the best zombie book out there, and any fan of the genre ought to give it a chance. 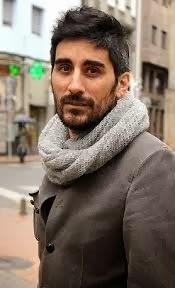 Manel Loureiro is a Spanish author born in Pontevedra who studied law at the Universidad de Santiago de Compostela, after which he worked in television on and off-screen. 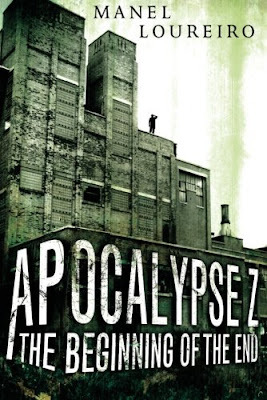 His eventual first book, Apocalypse Z, actually started out as a blog before it gained greatly in popularity. So far the Apocalypse Z series has three novels in it, with the second and third ones being respectively Los Dias Oscuros and La ira de los justos. It seems that Agatha Christie has made a theme out of Hercule Poirot not being able to take a vacation if his life depended on it, with that being the case once again in what is perhaps one of her lesser known novels, Peril at End House. In it, the world’s most notorious Belgian detective tries to take a holiday on the Cornish Riviera, but his plans soon come to an end as he meets Nicky Buckley, a woman who had far too many seemingly accidental brushes with death recently. Poirot, being a gentleman and loving murder mysteries, sets out to do something he hasn't really done before: not solve a murder, but prevent one from happening. 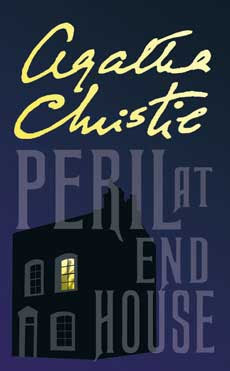 I find it quite unfortunate that Peril at End House is one of those Agatha Christie novels only her fans will ever get to read, mainly because it takes a somewhat different direction than the rest of her books, and rest assured, she pulls it off as well as you would expect a writer of her caliber to. Hollywood on Hudson is beginning and the entire city of New York becomes shrouded in a veil of glamor and fame, with countless celebrities walking on the red carpet, and even more crazed fans and paparazzi trying to get a glimpse of what’s going on. The NYPD Red by James Patterson and Marshal Karp is commanded with policing this madness and making sure that all goes well, a job hard enough to do as it is. However, things get even more complicated when suddenly a highly renowned movie producer simply collapses and dies during breakfast. With such a high profile victim, they call in an investigator from the NYPD Red, Zach Jordan, who is for some reason partnered with his ex-girlfriend, Kylie MacDonald. 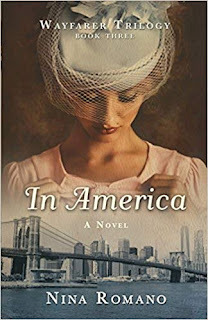 Unfortunately, they soon discover the producer to only be the first in a long line of potential victim, and so New York is struck with terror as a highly dangerous, clever and intelligent roams free. Pat Peoples is a man who lost nearly everything he has ever achieved in his life: his wealth, his marriage, his job, and even his home. How did he come to lose it? Well, he was committed to a neural health institute, otherwise known as a nuthouse. After years upon years of treatment Pat is released into the world representing no danger to himself or those around him… however, this experience didn’t leave him undamaged. He has come to develop a theory according to which his life is a movie where he can reach the happy ending and be reunited with his estranged wife if he stays physically fit and emotionally supportive. 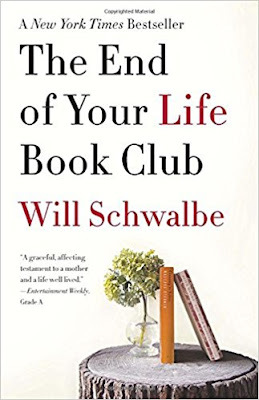 When he comes back to his parents, he finds that things have changed, with all of his friends being well set with their families, no one wanting to speak of Nikki (his ex-wife), and worst of all, the Philadelphia Eagles are losing. 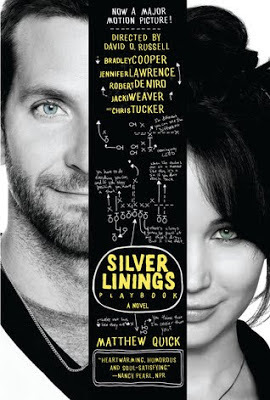 While at first it may seem like a story about someone just released from a mental hospital and trying to pick up pieces of his life would be quite depressing, Matthew Quick manages to make it just the opposite of that in The Silver Linings Playbook. The story is a somewhat twisted and dysfunctional journey of self-discovery, seen through the delusional eyes of Pat. 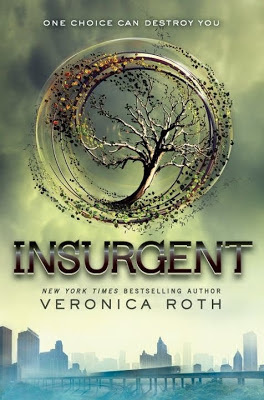 Taking off immediately where the last book, Divergent ended, Insurgent, written by Veronica Roth, is a book better read right after the first one, unless of course you’re not afraid of a little confusion. The factions that rule the city are still present, and what’s more, a certain unrest is growing within and between them, bringing everyone closer to the inevitable future all knew had to dawn one day: a massive war, a new World War even. In this jumbled mess, Tris and her people find themselves caught in a maelstrom which may not release them anytime soon; it is up to Tris to embrace her role as a Divergent and do what it takes to safeguard herself and her people, no matter the cost. I have to say that this book ought to be divided into two halves. The first one revolves mostly around Tris’ feelings of guilt towards herself, her friends and her loved ones, but at times, I felt as if the author forced it a bit, not to mention that she spent a bit too much time dwelling on it. Yes, it is important to see how Tris develops as a character, but it doesn’t mean that she needs to mope all the time. However, apart from this one little aspect of it, I found the book to be an exceptionally-thrilling read. While our beloved crime fighters seek to go on vacation once in a while, we, the readers, know all too well that crime doesn’t take vacations, as can be plainly seen in Agatha Christie’s Death on the Nile. In this murder mystery of hers, our favorite Belgian investigator, Hercule Poirot, attempts to escape from his seemingly murder-filled life in England in favor of an excursion into Egypt. 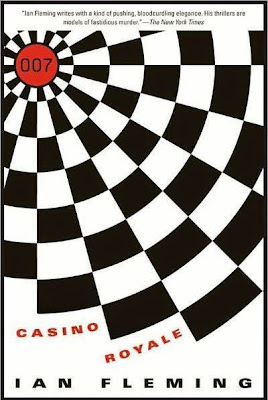 However, as it always happens, Poirot’s plans for a vacation are ruined when a perplexing murder occurs on the cruise ship, with circumstances forcing Poirot and Hastings to do what they do best: find the clues, dismiss the red herrings, rebuild the chain of events, uncover a deep murder plot and finally bring the real culprit to light. 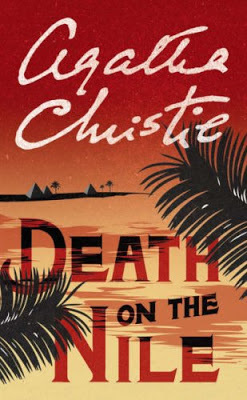 It seems as if Death on the Nile, along with Murder on the Orient Express as well as And Then There Were None, has become one of those Agatha Christie novels which have become popular practically everywhere in the world. This is the case perhaps because this novel allows Agatha Christie’s strengths to shine brighter than a thousand suns. 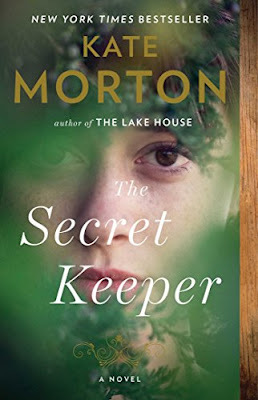 Kate Morton, the author of the New York Times bestseller, The House at Riverton, returns once again with a novel centered on the rediscovery of a long lost past in The Forgotten Garden. This time around, we follow the life Nell, a small girl who had been raised by a dock master and his wife after being abandoned on a ship headed for Australia. On her twenty-first birthday, Nell’s foster parents reveal her true identity, or at least what they know about it. This discovery prompts Nell to undertake a very emotional journey back to her roots, back to Blackhurst Manor on the Cornish Coast where the Mountrachet family buried their secrets. 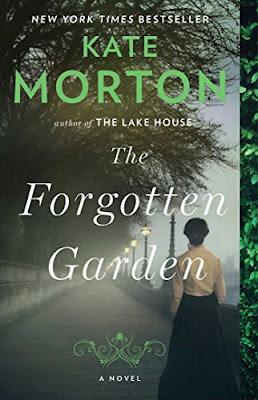 However, Nell has never really succeeded in assembling all the pieces of the puzzle, something her granddaughter, Cassandra, aims to rectify, hopefully finding that coveted secret garden, as beautiful as in the fairy tale book Nell never parted with since being abandoned on that ship almost a century ago. There are many different ways of communication: speech, writing in letters, in symbols, gestures, and even looks. There is no shortage of ways us humans have found ways of communicating our thoughts with others, which eventually gave birth to many fascinating methods, including the Flower language used during the Victorian era. 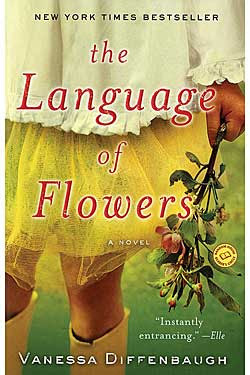 In Language of Flowers, Vanessa Diffenbaugh sheds light on this enigmatic form of communication through an engaging story, that of Victoria Jones, whose entire life has been plagued by solitude and disdain towards other people. Unable to get emotionally close to other people after having lost much of her innocence in the cruel foster care system she was drawn to the beauty of flowers and their ability to express her feelings. Unexpectedly, through time she observes that she actually has the ability to help others based on the flowers she gives them. However, just as she was starting to piece herself together, a mysterious strangers falls into her life, making her realize something big is missing from her life, something that will require her to look deep into her past and confront the demons imprisoned within. Lavinia is a seven year-old girl who has recently been orphaned and arrived to the United States on-board a ship. Unfortunately, her already-cruel destiny didn't stop there, as she arrived at a tobacco plantation, famous today for their propensity to enslave people, particularly Africans. However, it seems the white family living on the plantation cannot see past her skin, making her spend her days working in the kitchen with the other slaves. However, that is where she finds hope: a second family who don’t care what she looks like and take of her as if she was one of her own. One day, however, Lavinia is accepted into the white family, leaving her stranded between two worlds, one which made her what she is, and the other promising her the future. Because of today’s “political correctness” climate, many writers are turned off from exploring some of the less-honorable historic events which have occurred in the United States, namely the widespread and remorseless use of slaves. 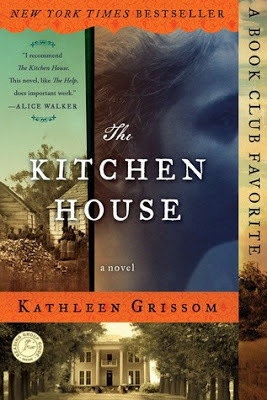 However, there remain a few artists who don’t care who they are going to offend (some even count on it) or what subjects they are going to explore, as is evidenced by The Kitchen House, written by the hand of Kathleen Grissom. 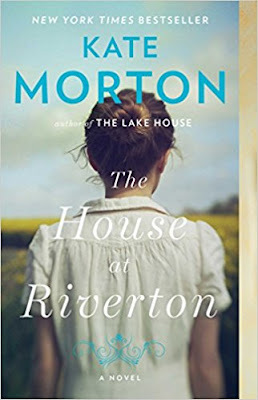 The House at Riverton is Kate Morton’s first effort at a novel, and it is one set in England between the World Wars, following Grace, a house servant to the aristocratic Hartford family who live in Riverton. The story is mostly told through a flashback in 1999, when Grace is almost a hundred years old and is asked by a young movie director to tell him the events of that house. As it turns out, life in the Riverton house was full of secrets an deception, especially when a young poet shot himself in 1924 during a social gathering, an even witnessed only by the Hartford family daughters and shared with Grace. Beneath all the layers of secrets Grace is trying to uncover, we get to see how quickly people change, and how life was in an era which isn’t very far from today, but feels like it happened eternities ago.